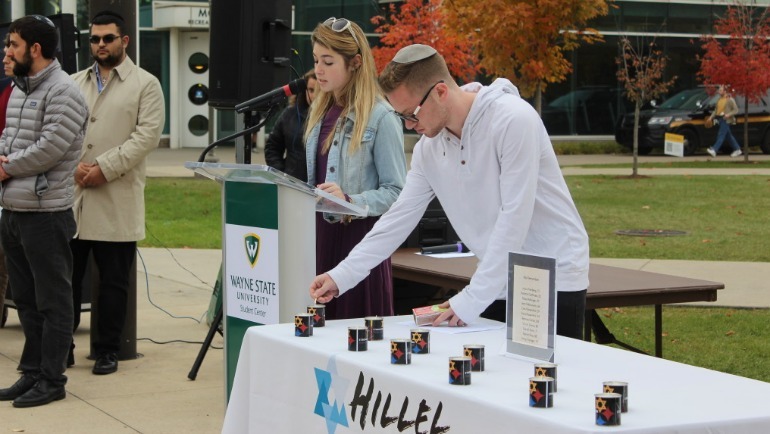 Wayne State Hillel and Hillel of Metro Detroit will host a memorial on Tuesday, Oct. 30 remembering the victims of Saturday’s Pittsburgh synagogue shooting. The memorial will begin at 4 p.m. on Gullen Mall in the fountain area across from the David Adamany Undergraduate Library. The program will last approximately 20 minutes. At 5 p.m., the Office of Multicultural Student Engagement and the Office of Diversity of Inclusion will host a community dialogue in Room 020 (Lower Level) of the Student Center. This dialogue will allow people to share their thoughts and feelings with fellow Warriors. Staff from the office of Counseling and Psychological Services will be on hand for both events.